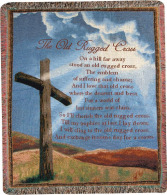 Throw blankets make very nice and thoughtful keepsakes. Prices are $70 throw folded with a bow, $75 throw displayed on a rental easel, $95 throw displayed on easel with bow and silk flowers. 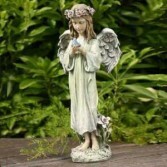 This beautiful garden angel holding a bird is a perfect keepsake. 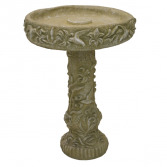 Cement bird bath prices are $100 bird bath with bow, $150 bird bath with fresh flowers, $225 bird bath with angel and silk wreath bow and soft rice lights. 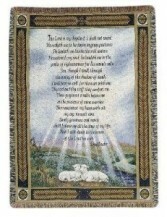 Throw blankets make really nice sympathy keepsakes. Prices are $60 throw folded with bow, $65 throw displayed on a rental easel with bow, $75 throw displayed on easel with bow and silk flowers. 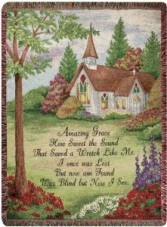 This beautifully crafted wind chime has the words to the timeless song Amazing Grace. 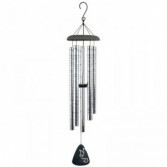 These wind chimes are one of our most popular sympathy gifts. Wind Chime prices $95 windchime displayed on rental easel with bow, $110 wind chime displayed on easel with bow and silk flowers, 150 wind chime displayed on easel with bow and fresh flower arrangement added. Cement bench prices $120 just bench with bow, $150 cement bench, bow and fresh flowers, $225 cement bench, bow, fresh and cement angel. 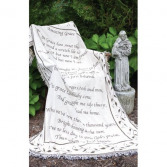 Throw blankets make very nice and thoughtful keepsake. Prices are $70 throw folded with bow, $75 throw displayed on a rental easel with bow, $95 throw displayed on easel with bow and silk flowers. One of our top rated gift items! 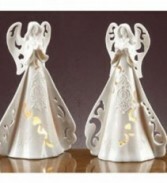 This beautiful white angel plugs in and gives off a soft light. Great for a kitchen, bedroom or bath. Old Rugged Cross throw blanket. Price difference is $70 throw folded with a bow, $75 throw displayed on a rental easel and bow, $95 throw displayed on rental easel with a bow and silk flowers.